When will be World's Most Expensive Cars next episode air date? Is World's Most Expensive Cars renewed or cancelled? Where to countdown World's Most Expensive Cars air dates? Is World's Most Expensive Cars worth watching? Ant Anstead goes behind the scenes with the car hunters of auction house RM Sotheby's as they travel the globe tracking down expensive classic cars for auction. These rare models - from Ferrari to Aston Martin, Lamborghini to Jaguar - come with mind-blowing price tags, sometimes in excess of $10 million. These are the best and most valuable collector automobiles on the planet: cars that are rare, limited editions or race winners, and often with fascinating histories or famous owners. But will the super-wealthy turn up to bid? Can these classics hit their multi-million pound estimates or will they fail to reach their reserve price? Ant Anstead follows the car hunters of auction house RM Sotheby's. This time, there's a 1955 Mercedes 300 SL Gullwing and a Saleen S7, probably the fastest road car ever produced. Ant Anstead follows the car hunters of auction house RM Sotheby's as they search for the world's most expensive cars. An Aston Martin DB4 GT worth £2.5 million is made ready for London auction by taking part in an exclusive classic car rally. In the South of France, two rallying classics, a Peugeot 205 and a Renault 5 Turbo, are hoping to fetch a million dollars each. And a 1958 AC Aceca-Bristol is put up for sale in California. 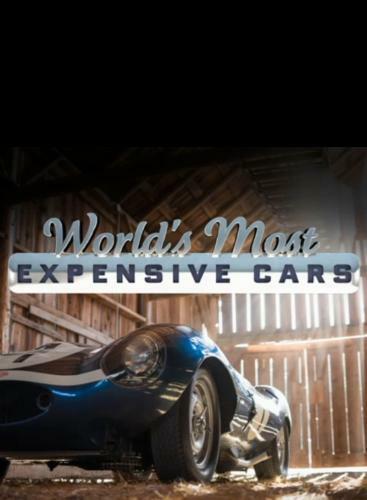 World's Most Expensive Cars next episode air date provides TVMaze for you. EpisoDate.com is your TV show guide to Countdown World's Most Expensive Cars Episode Air Dates and to stay in touch with World's Most Expensive Cars next episode Air Date and your others favorite TV Shows. Add the shows you like to a "Watchlist" and let the site take it from there.